Insights on creating dynamic productions, training theater artists, and engaging our community at American Conservatory Theater, San Francisco's premier nonprofit theater company. Each year, the A.C.T. community gathers for The Sky Festival—the creation, rehearsal, and performance of a vibrant and eclectic range of work. Students, faculty, core acting company members, and artistic staff submit proposals for projects they are personally passionate about, from self-written work to movement-based interpretations of classic texts. The chosen projects are developed over two weeks of intense rehearsal and exploration, culminating in two days of lively in-house presentations. This year, one production Thieves, a raucous spin on Shakespeare's Henry IV, Parts 1 and 2—will be presented as a full production at The Costume Shop. The first-year Master of Fine Arts Program students were thrown into the creative chaos of the Sky Festival for the first time, and Dillon Heape stole away from rehearsal for a few moments to reflect on his experiences as part of the cast of Thieves. Dillon Heape, Jessica Kitchens, Titus Tompkins, and Jason Frank. Photo by Kevin Berne. I've never been one to get too excited about Shakespeare. I've acted and studied theater for most of my life, read and seen many of Shakespeare's plays, and even performed in a few—but I have yet to be "bit" by the bug of the Bard. And until recently, it's something I've felt pretty guilty about. I've never disliked Shakespeare—I've just never really got it, either. Fortunately, just this week, things have started to change. I've been given the opportunity to play King Henry IV in my friend Matt Bradley's play Thieves, a rock adaptation of Henry IV, Parts 1 and 2, as a part of A.C.T. 's second-annual Sky Festival. Thieves places a new, bold, interesting spin on the relationships between King Henry IV and his son Hal—and between Hal and the band of thieves he's recently joined as an act of rebellion against his father. Until working on this play, I had always thought of Henry IV as a bleak, long-winded installation in Shakespeare's Wars of the Roses plays. The story is compelling, but the antiquated language kept me from really connecting to the heightened emotions these characters are feeling. (This is something I experience with many of Shakespeare's plays.) In Thieves, though, the characters speak in a fascinating blend of modern language and Elizabethan English—and sing and play some pretty awesome rock music—in order to convey their dark, funny, and emotionally-charged story to the audience. And I get it!. I have to admit I was a little bewildered when Matt first cast me as the King. (If nothing else, I felt pretty undeserving. Give the part to someone who loves Shakespeare!) But now that we're knee-deep in the rehearsal process for this play, I could not be more thankful to be involved. Through rehearsing with my friends and peers, working with an apt and able young playwright who's passionate about telling Shakespeare's story in a way I can connect to, and through the age-old medium of music, I am learning more about Shakespeare than I ever thought possible. No time like the present, right? Introducing A.C.T. 's Next Executive Director Jennifer Bielstein! 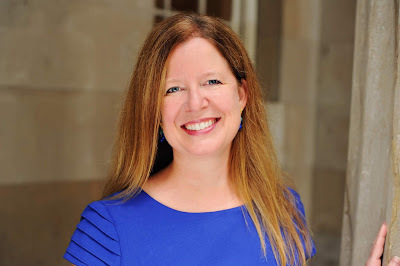 We are thrilled to announce that Jennifer Bielstein will join us as A.C.T.’s next executive director. Bielstein is currently the managing director of the Guthrie Theater in Minneapolis and president of the League of Resident Theatres (LORT), an organization that represents 74 theaters nationwide. Today, the curtain is closing on the 2017–18 season fellowships, giving way to new and exciting journeys to come. 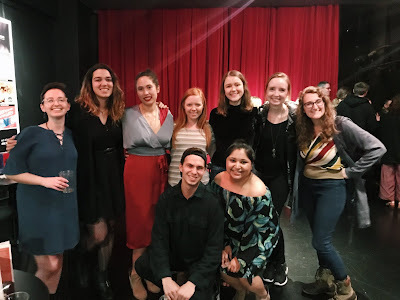 For over eleven months, these young theater-makers have played an integral role at A.C.T., taking on tasks that range from evaluating script submissions to organizing donor events to designing mainstage show art. We reached out to a few of the fellows before they departed for their next adventures to find out what the A.C.T. Fellowship Program means to them. Rachel Stuart (Development Fellow): I couldn’t have asked for a better team to spend this past year with! I was able to get a firsthand look into what it takes to fund a large theater company. My team’s support, knowledge, and guidance has encouraged me to continue my career path as a development professional in the arts. Nearly eight years ago, East Coaster Christine Miller made a cross-country move to California to begin her year-long tenure as A.C.T.’s 2010–11 season marketing fellow. What she didn’t know at the time was that she wouldn’t be leaving the streets of San Francisco anytime soon. Flash-forward to 2018 and Miller is now A.C.T.’s Acting Director of Marketing. We sat down with the marketing team’s intrepid leader to celebrate her inspiring career at A.C.T. For those who aren’t familiar with marketing in the arts world, how do you go about marketing an A.C.T. production? Copyright © 2018 American Conservatory Theater. All rights reserved.